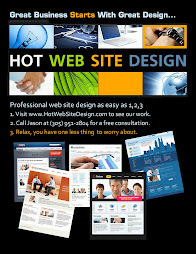 Hot Website Design is a website design firm providing services to small business owners who are developing their small business website, SEO (Search Engine Optimization), SEM (Search Engine Marketing) and SMM (Social Media Marketing) as well as graphic design such as company logos, web graphics, business cards, and stationary. Hot Website Design also provides consulting service for small business printing, direct mail marketing, email marketing, e-commerce and website hosting. Website design, hosting, e-commerce and internet marketing solutions for small business. Our consulting and development service can help you to create a professional, business website that is within your budget. Call (305) 814-5146 or contact us today to get started. Why choose Hot Web Site Design for your business website needs? Because we develop websites that look better than the rest at a price you can afford! View our Portfolio page to see some of our work or learn more about our Prices. Have a question about our services? Call us at (305) 814-5146 today! What Google's Wildfire Social Marketing Manager Maya Grinberg talks about amplifying a marketing campaign across multiple social media channels. Examples from P&G, The Oscars, Oreo Cookies, Target, Puma and Red Bull. a. Have a social plan before and after the key moment in any campaign. b. Remain nimble. Know when to plan, and plan to react. a. Treat each channel in a unique way. b. Encourage user-generated content to add authencicity. 3. Create a "Social hub". a. Build social Hubs around all major marketing campaigns. b. Tightly coordinate online and offline experiences. c. Host Social Hubs in multiple places. Business consulting web site design example. Dark tones and shades of gold add to the company's strong brand identiy with matching business cards, logo and letterhead. Template provided by Template Monster. Customized by Hot Website Design. 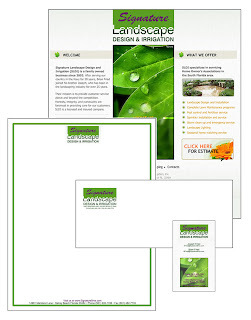 Web site, Business card, Letterhead and Envelope. We are business people just like you. We know that being successful means using the right tool for the right job. In fact it's critically important when it comes to business success. After many years of research, building web sites, working with design, programming and marketing professionals, we know exactly how to create a small business website. Copyright 2012 Hot Website Design. Awesome Inc. theme. Powered by Blogger.